The consumer packaged goods sector faces tough hurdles in 2018, as consumers hunt for discounts, buy more private labels and opt for fresh food choices. Campbell Soup's purchase of Pacific Foods, a maker of organic broths and soups, is the latest push by an established food giant to rekindle growth with products that consumers perceive to be fresher, healthier and "authentic." Mike Siemienas, spokesman for General Mills’ Nature Valley, explains why the brand isn’t giving up on organic social media marketing. UK consumers have embraced online food ordering, leading new and established players to enter the market with new apps and services. Consumers have long been thought to be deeply loyal to their CPG brand of choice. But new research shows that when offered a cheaper or equal quality alternative to their normal brand, consumers can be enticed to spend their money elsewhere. In its first quarterly earnings report since going public, Blue Apron posted a mixed bag of results that show both the promise and the challenges of the meal kit space. In the latest sign of the overall malaise in the sector, US unit sales of CPG items dipped 0.4% in the year ended Feb. 19, according to IRI data. The meal-kit delivery space is heating up, but not everyone is rushing to whip up summer vegetable tartines that come in a box—not if the box comes with a hefty price tag. Madison Reed’s CTO Dave King and CMO Heidi Dorosin discuss the features that make its chatbot experience comparable to other shopping channels, including the store. Unit sales of consumer packaged goods declined in the first quarter, and more than half of millennials say they are making sacrifices to make ends meet. 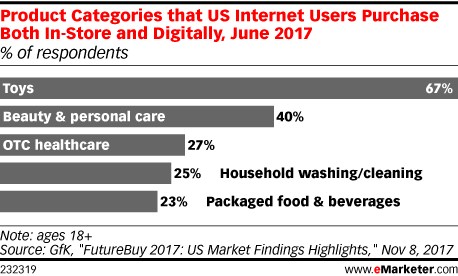 The way consumers shop for household products is shifting steadily to an omnichannel approach, according to a new GfK study. Brandon Rhoten, CMO of Papa John's International, discusses the formula to having an engaging, interesting and consistent brand voice on social media. 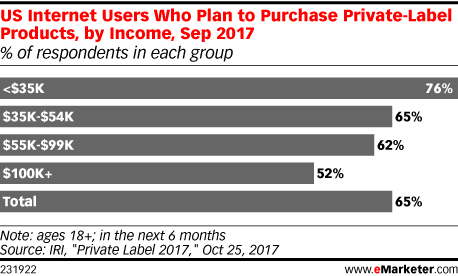 Growth of the private-label market in recent years has been driven by demand from lower-income shoppers as well as budget-conscious millennials. But these products are attracting wealthier consumers, creating yet another challenge for national brands. Data from a Fluent survey underscores the challenges meal kits face in developing a large audience, but it also points up the relative interest in meal kits among millennials. As in other surveys, meal-kit prices remain a sticking point. Small acquisitions by Nestlé and Unilever are part of a broad move by the industry to cater to shifting consumer tastes. Health-conscious consumers are spurring growth in the vitamins, sports protein drinks and nutritional supplements category, but this CPG spending bright spot isn't necessarily boosting results at specialty retailers focusing on the vitamins and supplements trade. Coca-Cola rolled out a replacement for Coke Zero in the US, renaming it Coca-Cola Zero Sugar. It's the latest in a rapid wave of new products and product redesigns aimed at catering to consumers' shifting preference for healthier products. Almost two-thirds of US internet users have ordered food with an app or online. And it's not just young consumers who are doing it. Digital sales will grow faster than any other channel in the UK grocery sector over the next five years, according to IGD. 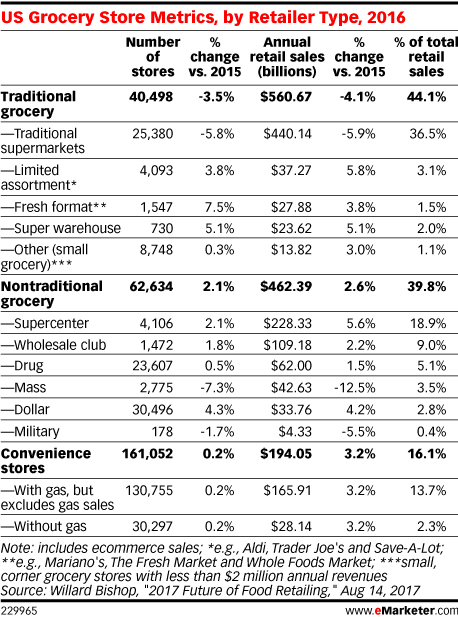 But brick-and-mortar stores—and discounters in particular—will also see some relatively high growth rates. Frank Amorese, senior media director at Heineken USA, talks about some of the challenges the brand has faced with Facebook advertising.